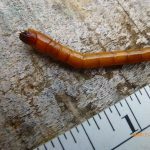 A reader recently reached out to us with this question, “How can I treat or prevent my crops from mealworms?” He explained that many of his radishes were scratched at the time of harvesting, and he wants to avoid that in the future. He didn’t send a photograph of the specimens, so we will just trust that he is indeed dealing with mealworms, and not another creature that could look similar. 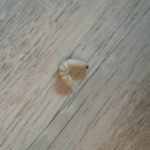 Mealworms, which are actual mealworm beetle larvae and not worms as their name suggests, are extremely common household pests. Readers often find them in their kitchen and pantries feeding on forgotten stored grains. In the outdoor environment, mealworms live in warm and damp places, such as under logs and decaying leaves. 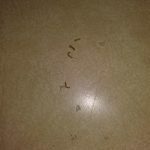 While our reader is anxious to get rid of these larvae, some people actually farm mealworms! They are an excellent food source for ducks and chickens. 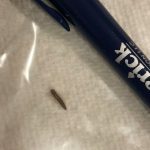 So, how can our reader say goodbye to these unwanted visitors? At All About Worms we don’t encourage the use of pesticides, but we do have a few solutions for our readers. One option would be to introduce natural mealworm predators into his garden. Many birds eat mealworms, so by building birdhouses or purchasing ducks and chickens he might reduce the population size of the mealworms that are eating his radishes. We understand that this is not a realistic option for everyone, but we encourage him to try it if possible. 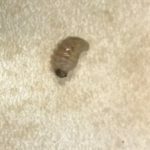 He can also look into using the Milky spore disease, which is a naturally occurring pathogen that will kill beetle larvae. However it can take years to become effective, so introducing birds or ducks might be a good option in the meantime. He can also order nematodes before the Milky spore starts working. The nematodes come on a sponge, which you soak in water and then spray onto the soil. 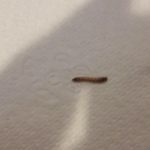 The nematodes will multiply and wipe out the mealworm population. To conclude, one of our readers asked for advice to get rid of mealworms. We have supplied a few solutions that don’t include pesticides! 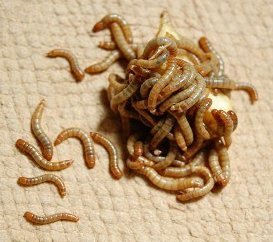 One of our readers asked for advice to get rid of mealworms. We have supplied a few solutions that don't include pesticides! 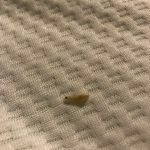 What Is Worm on New Foam Mattress?